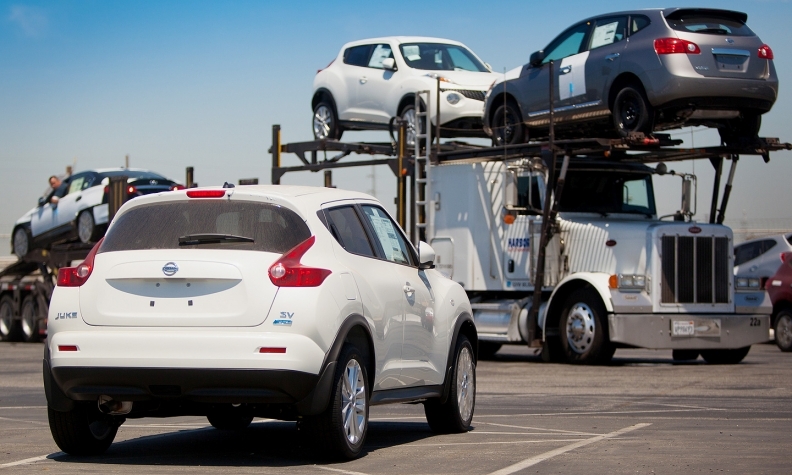 The Nissan brand set a June U.S. sales record of 95,010 units, an increase of 16 percent over June 2012. U.S. light vehicle sales, led by Ford Motor Co. and Nissan Motor Co., rose 9 percent in June, easily topping many forecasts and providing fresh signs that the industry's recovery will remain robust in the second half of the year. The seasonally adjusted annual sales rate -- a key barometer of the U.S. auto industry's overall health -- surged above the sunniest projections to 15.98 million, from 14.4 million a year ago. The June SAAR marks a new high in the current recovery cycle and the industry's strongest sales pace since late 2007. The SAAR has now topped 15 million units every month but one -- April -- starting in November 2012. "The industry had a great month in June, easily the best June in six years. We were within a tipping point of that magical 16 million [SAAR] mark," said Bill Fay, general manager of the Toyota division. "We expect the momentum to roll into the rest of the summer." U.S. sales have now advanced 8 percent this year to 7.8 million. Analysts expect U.S. light-vehicle volume to reach 15.3 million to 15.5 million for the year, compared with 14.49 million in 2012. "America's families are better off than they were at the beginning of the year and they believe -- with good justification -- that the economic expansion is going to continue," General Motors' chief economist, Mustafa Mohatarem, said in a statement. "Even moderate economic growth will be enough to keep the auto sales rate in the second half of the year at healthy levels around the mid 15 million-unit mark." Among major automakers, Ford Motor and Nissan Motor deliveries increased 13 percent, while volumes at Toyota Motor Corp. and Honda Motor Co. rose 10 percent. At GM, sales advanced 7 percent from a year earlier, while Chrysler gained 8 percent. Subaru finished the first half with an industry-leading 25 percent gain, thanks to a 42 percent June increase propelled by the redesigned Forester and all-new XV Crosstrek. Two other companies that have been among the industry's biggest winners in recent years -- Volkswagen Group and Hyundai-Kia -- continued to struggle, managing tiny June gains. Truck demand set the pace for sales at the Detroit 3, while new models or redesigned cars or crossovers helped nearly every brand. Chrysler's 8 percent increase was led by a gain of 23 percent at the Ram truck brand and an 11 percent advance in car deliveries. Ford tallied a 24 percent jump in F-Series pickups. GM's deliveries of the Chevrolet Silverado advanced 29 percent and GMC Sierra volume rose 32 percent. Sales rose 5 percent at GMC, 7 percent at Chevrolet and 15 percent at Cadillac, while Buick deliveries slipped 4 percent. June marked Chrysler Group's 39th consecutive monthly increase in U.S. sales. "The fundamentals for continued industry gains in new vehicle sales remain intact," Reid Bigland, head of U.S. sales for Chrysler Group, said in a statement. Jeep's U.S. sales, which are off 5 percent this year, have suffered since the Liberty SUV was discontinued in August 2012. The Liberty's replacement -- the 2014 Jeep Cherokee -- will not be widely available until the third quarter, Chrysler officials said last week. Ford said sales of small cars -- Fiesta, Focus and C-Max -- rose 39 percent to 35,851, while deliveries of the redesigned Escape crossover increased 1 percent to a monthly record of 28,694. Lincoln volume slipped 1 percent. U.S. light-vehicle sales had been projected to end up at 1.38 million units for the month, a 7 percent increase, based on a survey of 10 analysts by Bloomberg. 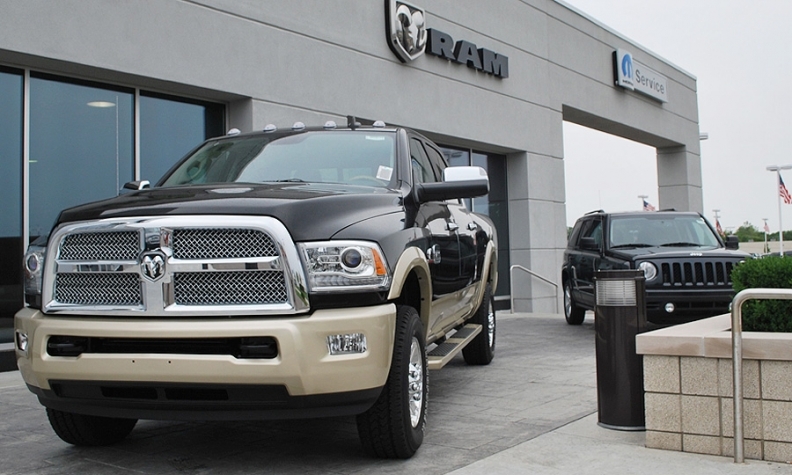 The Ram pickup truck, with a 24 percent gain in volume, logged its best June sales since 2007. At Mazda, June sales rose 13 percent on strong demand for the redesigned Mazda6 mid-sized sedan. "Trucks are hot right now," Vasquez said, citing the redesigned 2014 Chevy Silverado and its heavily discounted outgoing predecessor. "We are giving 1.9 financing for new and used vehicles for 72 months," Bergstrom said Friday. "It would be very hard to say something bad about how June is going. It feels like consumer confidence is back." Not all brands are benefiting from the steady rise in U.S. sales. Volkswagen Group's VW unit saw U.S. sales slide for a third consecutive month in June. The brand's volume is off 1 percent for the year. Large pickups and compact utility vehicles propelled the market in June with sales in both segments climbing 21 percent or more. Demand for compact cars was also healthy last month with segment sales rising 15 percent. GM, Ford and Chrysler -- the primary beneficiaries of the rebound in large pickup sales -- have each gained U.S. market share through June. Toyota Motor, Honda Motor, Hyundai-Kia and VW Group have each lost ground this year in the U.S. market. "The industry continues to benefit from modest improvements in housing, unemployment and consumer confidence," said Alec Gutierrez, senior market analyst of automotive insights for Kelley Blue Book. Sales of the redesigned Honda Accord topped 30,000 units for the fourth consecutive month and helped the Honda brand to a 13 percent increase in June. With Acura volume off 10 percent, Honda Motor Co.'s overall sales rose 10 percent in June to 136,915 units. "The auto cycle seems poised to up-shift to 3rd gear," said Jefferies & Co. analyst Peter Nesvold. "Consumer spending has held up despite higher payroll taxes and federal spending cuts, and we expect automotive purchases to remain strong as consumers replace aging vehicles and credit is becoming more available and at lower rates." Isabella Shaya, Adam Rubenfire and Mark Rechtin contributed to this report.